Basic energy without grid power lines must come from other sources. When you set up an off-grid electrical system, you are limited by the amount of battery storage you maintain. This can be a complex equation that is quite costly, but in the end, it is worth the trouble. First and foremost, a residence that uses little energy will find simple success in generating and storing its energy needs. Heating and cooling use the majority of electric energy to meet human comfort standards, so building a home that is passively cooled in the heat, and warmed in the cold will limit the need for energy. Using Solar water panels to heat water will eliminate the need for electric water heat, which is far less efficient. Energy miser appliances will further maintain a low-energy usage standard. Then it comes to the installation of energy generators such as solar, wind, biogas, woodgas, or hydro generator types, which are all currently changing the world day by day. Solar energy is the most available technology today considering that most regions of the world have access to sunlight. The cost of the technology is rapidly falling, for instance, in the United States, you can have a grid-tied system installed and financed for less than the electric bill in 48 States today! In places like California, or the Northeastern States where grid energy is expensive, a system can pay for itself in as little as 2 to 3 years of energy usage. Off grid solutions are a bit more costly, but are quite comparable to grid-tied electric when you consider the month after month expenses. National Cooperatives today use group buying power to achieve installed pricing under $2 per watt! Becoming one with nature is one of the greatest perks of living off the grid. Starting an off the grid lifestyle where trash isn't picked up for you s requires you to have a waste disposal and management system that is solid. In addition to a drainage system for your bathroom and septic tank, a composite pit is a great idea since it will help you convert some of it to energy. An improper waste disposal and management system will most likely lead to infectious diseases and in extreme cases, death. This is why waste management and sewage is such a serious consideration. One of the first things you should consider when you decide to live off the grid is water. Availability of water at your off grid home allows you to stop depending on the government or municipal for the most basic human requirement. This could be a well run by solar, wind power, a hand pump, or a bucket. Should you rely on rain, it's important to have a large enough tank to last you through a drought. Many rural residents have 5000 gallon underground tanks, a pond, or many ponds, especially when livestock are involved. Where you live determines the extremes of the seasons, which determines how you will need to prepare. Are you living in a desert? Water is key to survival! Are you in a flood zone? Emergency planning may be a necessity! Living off the grid, should you decide not to watch TV or the internet, you may miss the weather report that says that 20 inches of rain are coming in the form of a hurricane barreling through central Texas, so it's important to make your decisions wisely about how to prepare. If you're in the middle of Alaska and keeping the gas to the generator is taking its' toll on you, finding alternate solutions is wise. Solar for summer, wind power for when the sun doesn't shine, maybe a woodgas generator setup, and saving propane /diesel / fuel for last resort backup for minimal trips to town in the middle of a freeze. Learning the art of gardening and farming is a vital part of off grid living. Anything that you can eat including asparagus, poppy seeds or even meat will have to be grown and produced on your land. As you make a list of the essential investments that you want to make when cut off from the rest of the world, be sure to include the vegetables, herbs, fruits and livestock that you wish to grow or keep. Farming requires great hard work and skill, which can only be acquired gradually with determination. They say that chickens are the gateway farm animal. Once you have one, two, then ten, it's easier to step on into goats, and cows, and horses, and ... omg! Suddenly you put a "ranch" label on your driveway! That's just how it goes. Many who live off grid discover that the work of the hands leads to better health. That said, if you are already at the mercy of medical treatment, considering how close the nearest clinic or hospital is can have its effect on where you end up. A leap to live away from all of that might leave you too far for emergency care. For that reason, the family homestead is often something that is done in middle years, and carried on until the 70's or early '80s. I see many folks as they lose a spouse or struggling with ailments unable to manage the family tract. If the children are unwilling to come take over, the land is often sold when it's time to retire into town near health assistance. 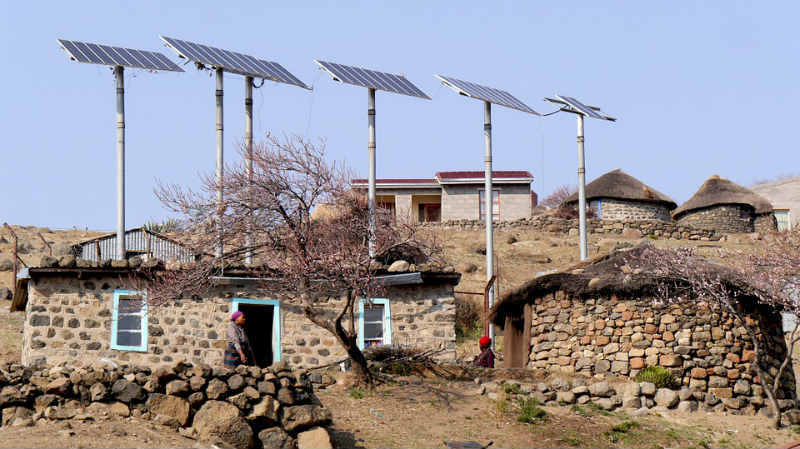 Living off the grid relies a lot on your investments. Having a plat of land can cost money, but if you're willing to live further away from town, and not connected to a particular region, you can typically finance a beautiful acreage tract of land with rolling hills and valleys and beautiful trees, plenty of water, and forested with hunting galore for a couple hundred dollars per month and little down. There are a few land owners that specialize in just such ventures. Having enough money to buy all the equipment you need to stay cut off will guarantee a longer throttle on your way to finding peace in nature. Some of the things you will need to invest in include repair & installation, construction, maintenance, set-ups, locations and raw materials for getting all the above work done. You should invest in housing, strong portable beds as well as durable electronic goods that can serve multi-purposes. Being wasteful is not an option and a comprehensive list of everything you require will keep you from wasting resources. This is an important skill that might just determine whether or not you survive, especially since there is no room for ordering takeout when living off the grid. You will be faced with different outcomes. You may experience drought and starvation for a few days and then a feast for months. You must know how to cook your farm produce without wasting anything. image copyright living history farms You can still purchase modern versions of wood cookstoves today! In addition to renting a post office box, there are other ways to ensure that the outside world can’t get to you instantly – at least not the way they would with an email address or phone number. Some ways to reclaim your privacy include avoiding use of credit cards, using a burner phone instead of a regular phone, using a VPN or proxy server when accessing the internet and relying on public transport. Living in a rental home or owner financing situation can ensure that your name isn't connected to the parcel of land where you live. Considering that following the housing collapse of 2007, many homeowners have chosen to hide from creditors who continue to hound them year after year. Disappearing from credit, from bothersome telemarketers, or from difficult family situations are just some of the reasons a person might choose to go off grid. Some people choose to live off the grid in various ways to various degrees. With the aforementioned tips, living off the grid isn’t so difficult with or without money. Having many of these skills will give you a good start. One important thing is to know what your options are and take advantage of them fully. Source: visit Naturerated.com to read more!